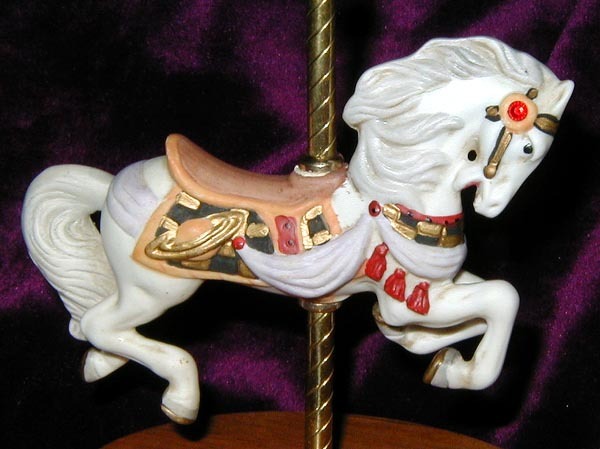 These small carousel horses represent the birthstones of every month of the year, with a small jewel of the birthstone color somewhere on the horse (usually in the bridle). They came with two different base configurations - a round oak base and a small brass base, each with a brass plaque identifying which month the horse represented. I am not sure what price these went for when new.